The Dubai Metro is one of the most advanced public transport system in the world operated by the Dubai Roads and Transport Authority. The system offers an inexpensive, safe, and convenient method of traveling to your destination, as well as, seeing sights around the city. 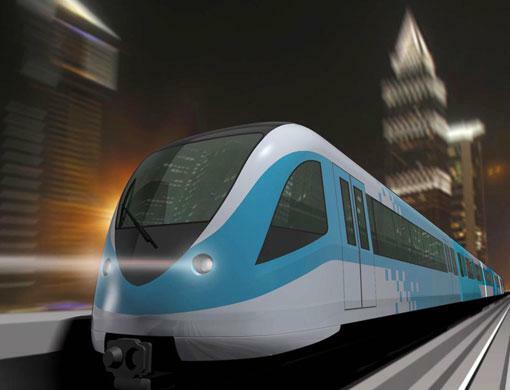 Dubai’s Metro service has two lines–the Red Line runs along Sheikh Zayed Road from Jebel Ali to Rashidiya via Dubai International Airport, and the Green Line which runs from Al Qusais (Deira) and around the Creek. All Metro stations feature taxi pickup spots, bike racks, handicap/wheelchair access, bus stops and shuttle services. Most stations also have ATMs and convenience stores. 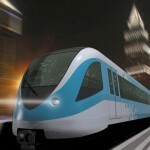 The Dubai Metro trains feature five cars–A gold class car featuring an area for women and children and 4 regular cars. Each train cabin also has designated areas for handicap/wheelchairs. All travellers need to purchase Nol cards which come in four categories: Red (single-journey), blue (personalized cards), silver and gold. These can be purchased at Metro stations or at authorized sales agents. Students (all nationalities) and senior citizens (Emiratis who are 60 years of age or over) can use public transport including buses and the metro at a 50% discount in fares. Passengers with special needs will be able to travel on all public transport free of cost. You can plan your journey using the RTA’s Wojhati (Arabic for journey planner) service which combines all forms of transport to plan your route in real-time. Hours: Saturday thru Wednesday: 5.50am – midnight | Thursday: 5.30am – 01.00am | Friday: 10am – midnight. Mobile phone service is available on the entire length of the Metro lines. In addition, WiFi service is available from du on the Metro, for 10 dhs an hour when paying with a credit card, or 20 dhs a hour when using prepaid scratch cards.